These photos have been lurking on my Dropbox since July. Let’s just pretend it’s July again, OK? If you follow me on Twitter, you’ll know all about the joys of back pain I’ve been having this summer, which has meant I can’t wear heels very much at the moment, but I was determined to wear a pair of my favourite shoes, if only for an hour or so. 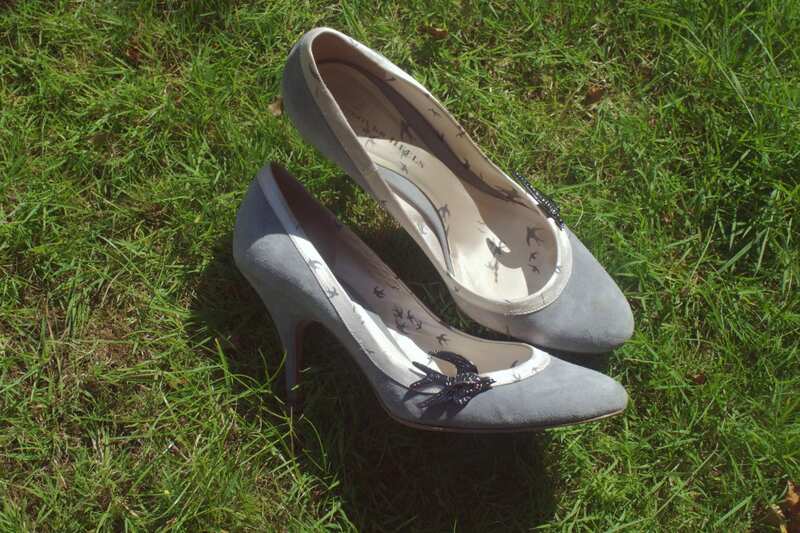 I actually decided on the shoes before I went and bought the dress – I’ve had these Head Over Heels shoes for 5 years, but have worn them maybe once or twice a year. 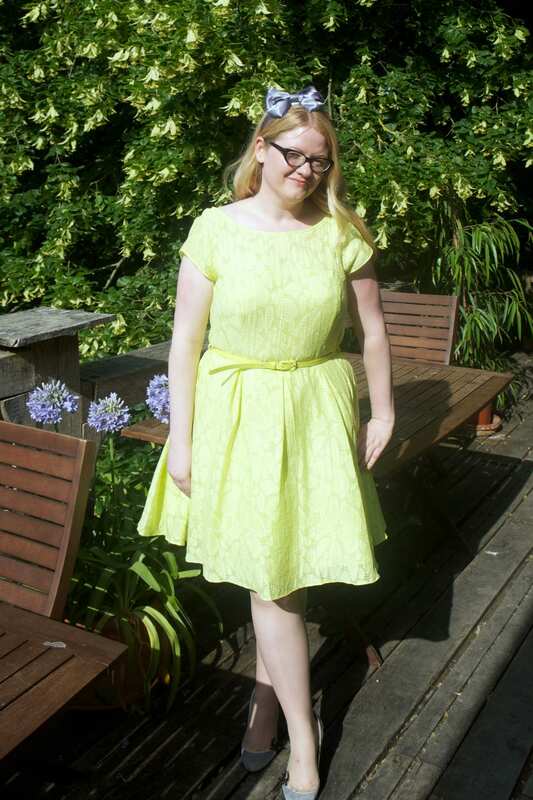 I bought this lime organza prom dress* from Debenhams for £18, which was quite pleasing! It’s not as neon as I imagined, and paired with the grey shoes, a grey hairband and a grey bag (actually, a Kate Spade laptop bag I bought off eBay! 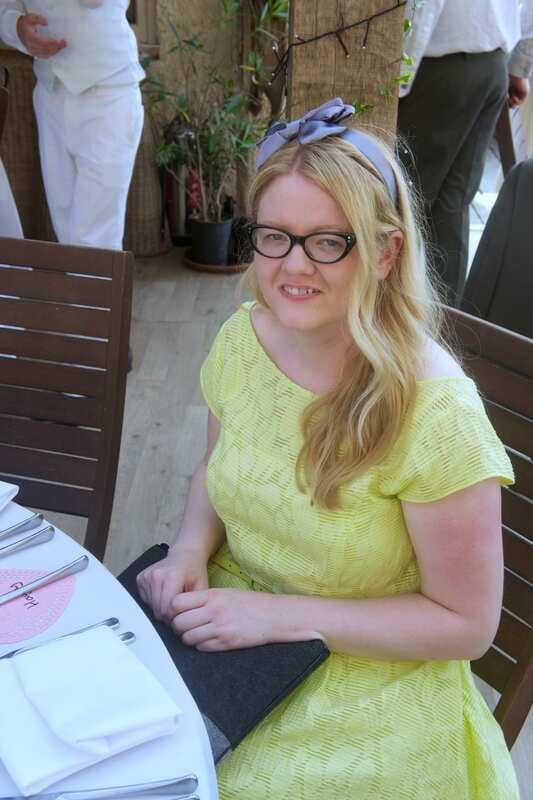 ), all of which I already had, it was possibly one of the cheapest wedding outfits I have ever worn. We may have complained about how hot it was, but Julian was wearing a tweed three piece suit! I have no idea how he didn’t just melt. Ally and I had been wedding dress shopping in 2012, which was such fun, except I wasn’t allowed to try anything on and I had a vague idea of the sort of thing to expect. I was just as surprised as everyone else though when Ally walked down the “aisle”, wearing such a Ally dress that looked nothing like I had imagined! I won’t spoil the details, as I’m sure she’s going to blog about it herself, but I couldn’t imagine anyone else wearing it, or anything looking better on Ally! Congratulations Mr and Mrs S, thank you for inviting us to be a part of your day! I love your dress! The colour is gorgeous, and looks so nice on you! This dress looks beautiful on you, I really love the colour! The dress is such a great colour on you. I want to see the brides dress now!